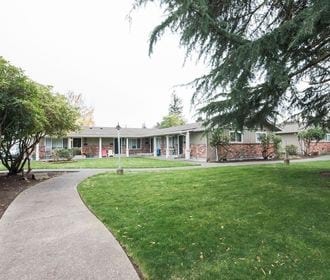 Experience the oasis that is Cavalier Park Apartments in Puyallup, WA. Tucked away on Stewart Avenue Cavalier Park Apartments is a quaint and quiet community with an ideal location. One mile connects Stewart Avenue to N Meridian the main street that runs through downtown Puyallup leading to many of Puyallup’s most popular hot spots including Pioneer Park, Washington State Fairgrounds, Fred Meyer and Wicked Pie Pizza. Cavalier Park Apartments offers 1 and 2-bedroom homes adorned with hard surface flooring, quartz counter tops and matching modern stainless steel appliances. 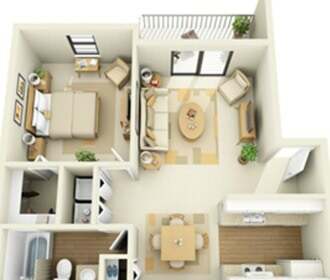 These homes also offer the highly desired in-unit washer and dryer. 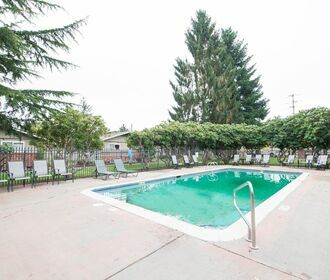 Community amenities include a centrally located seasonal pool and beautifully maintained grounds. Cavalier Park Apartments is a pet friendly community, please refer to our pet policy to ensure that your furry friends meeting our pet guidelines. Do not miss out on these wonderful homes! Apply online through the online leasing program or call to schedule an appointment to take a tour of your beautiful new home today!